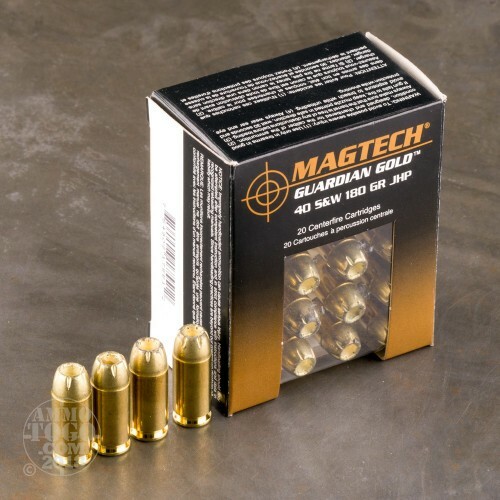 Magtech has been dedicated to producing high quality ammunition since 1926. Manufacturing all their own components for ammunition assembly, Magtech has full control over every stage of the manufacturing process. This attention to detail guarantees the quality of the final product. Magtech uses only the best raw materials and state-of-the-art production techniques to deliver the standards that have made Magtech an internationally recognized industry name. This package contains 20 rounds of Magtech Guardian Gold .40 Smith & Wesson ammunition. 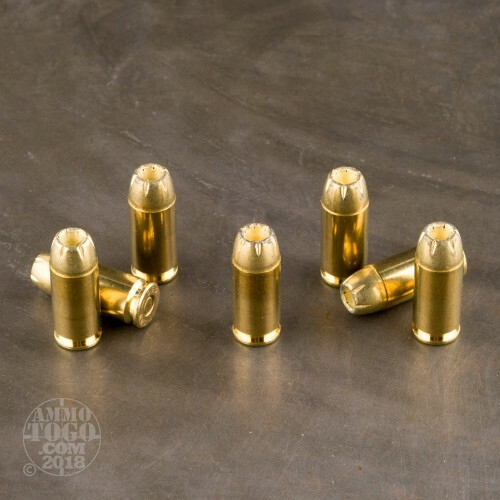 Each cartridge is loaded with a heavy-weight 180 grain jacketed hollow point projectile. 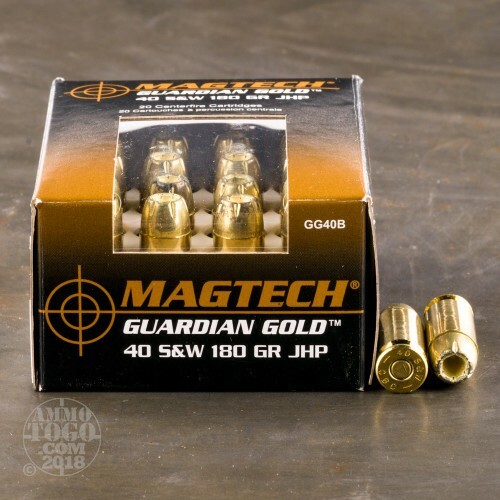 Magtech Guardian Gold delivers a satisfying balance of affordability, penetration, expansion, and accuracy, making it a smart choice for self-defense, particularly for budget-conscious shooters. 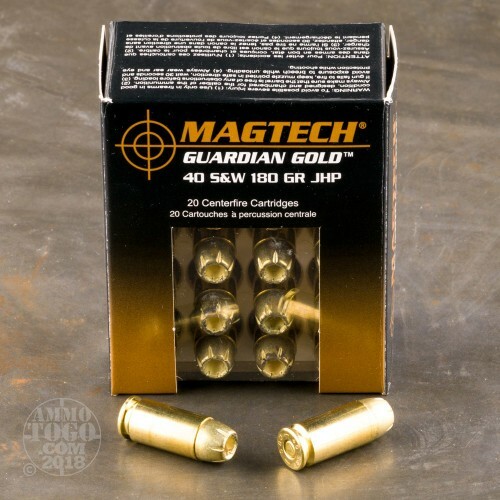 This new production ammunition must pass meticulous quality control inspections before it is leaves Magtech’s manufacturing facility. Each reloadable brass case is primed with reliable ignition primers and features high-quality, clean burning propellants. Each round produces a consistent muzzle velocity of 990 feet per second and 392 foot pounds of muzzle energy.